When tooth decay or other factors cause small fractures or other damage to teeth, a dental filling may be used to strengthen tooth structure and prevent further damage. While traditional fillings (amalgam fillings) made of metallic materials are strong and durable, they are often very conspicuous. Advances in dentistry have made way for composite resin fillings, also known as tooth-colored fillings, which are a safer and more aesthetically pleasing option for many patients. Drs. Jennifer and Cory Chambers of Cobblestone Park Family Dental believe everyone deserves a healthy smile without compromising its beauty. They are pleased to offer tooth-colored fillings at their full-service Oklahoma City dental practice. 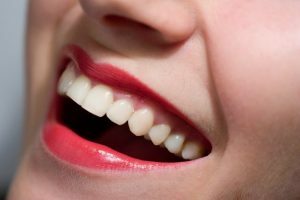 Can You Benefit from Tooth-colored Fillings? Tooth-colored fillings are primarily used to reconstruct teeth with cavities. If left untreated, cavities can lead to more serious decay, gum disease and even tooth loss. As cavities grow, they will also require more invasive treatment. Small cavities typically do not show any visible symptoms, so it is important to have your teeth regular examined and cleaned by our dentists. Tooth-colored fillings are also used to replace old metal fillings that have developed complications such as a crack or decay buildup underneath. Although many patients desire to replace their metal fillings with tooth-colored ones for cosmetic reasons, our dentists typically do not replace older fillings unless it is necessary. Tooth-colored fillings are typically placed in one dental appointment. Our dentists will thoroughly examine your teeth and take X-rays to find out if you have cavities or decay that can be treated with fillings. (Keep in mind that severe damage or decay may require a more invasive treatment option like an inlay/onlay or dental crown.) If we determine you need a filling, we will numb the affected tooth with a local anesthetic. Next we will thoroughly clean your teeth and remove the decay using a handpiece or laser. The surrounding area will also be cleaned to remove bacteria or debris. Next, we apply the composite resin material onto the tooth to fill the cavity. The filling is hardened using a special light. 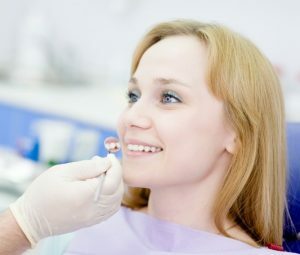 Once the tooth is filled, we will check your bite and make any needed adjustments to your filling for a precise fit. Your finished filling will function and appear as normal. With proper care and oral hygiene, your filling can last for many years. You will need to brush and floss regularly, eat a healthy diet and visit your dentist for routine dental checkups and cleanings every six months. Our team can provide additional tips to care for your fillings and teeth based on your oral health and needs. To learn more about tooth-colored fillings, including whether you are in need of one, schedule a consultation with Cobblestone Park Family Dental. Contact us by calling (405) 603-8520 today.